This preview video highlights the new interface and features of version 4 for IOS. 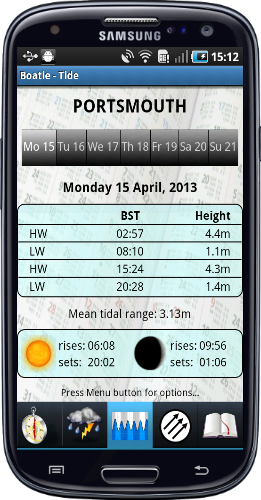 A 7 day tide table for 700 standard and secondary UK ports. Sunrise and sunset times, along with moon phase, are shown for each port. 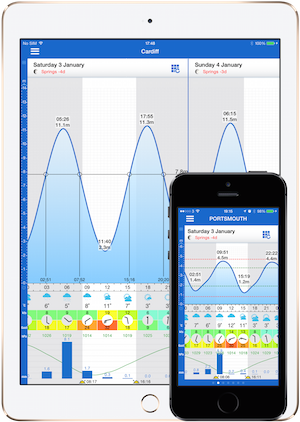 IOS version has tidal curves for over 400 ports. 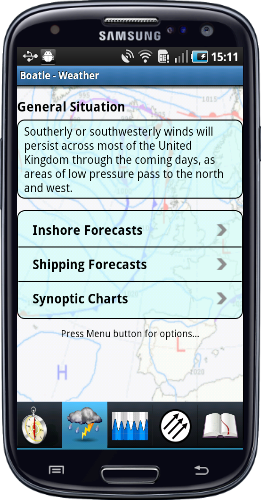 The UK Inshore and Shipping forecasts for all regions are immediately accessible to you - with Synoptic charts for 12 to 84 hours to see the overall picture and developing fronts. 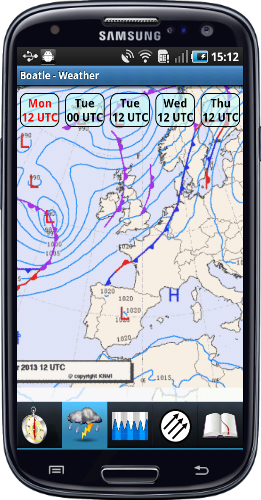 IOS version also has a 7 day meteogram of the GFS model data for each port. See your current position, speed and course (over ground). 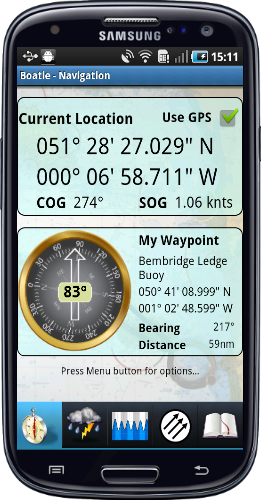 Save waypoints (or use the built in Solent racing marks) and see the distance and heading to them on the built in compass. IOS version allows you to import and export waypoints as GPX files. An interactive tidal stream atlas showing the principle streams for the UK from Ardnamuchan Point in the west around England and up to Edinburgh in the East. We all learnt much of this for our theory courses - but I have to confess that you're the better sailor than me if you'd still get 100% when tested. 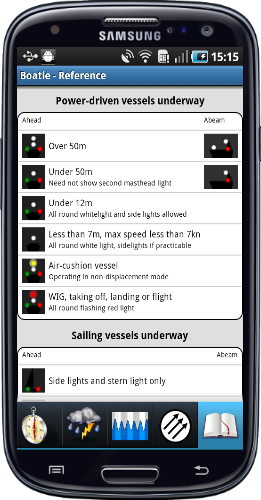 So Boatie includes these reference tables so you've got it close to hand either for you or your crew. 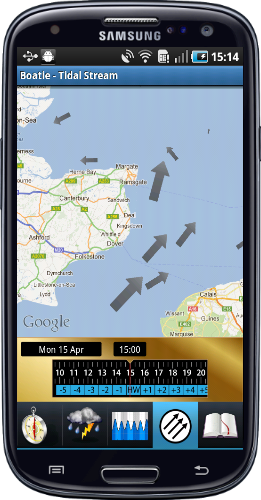 "Best boat app by a nautical mile"
"Brilliant sailing app for beginners to experts."